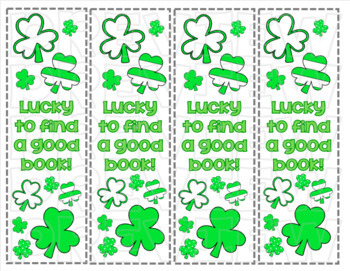 These festive bookmarks are perfect for March and St. Patrick's day! 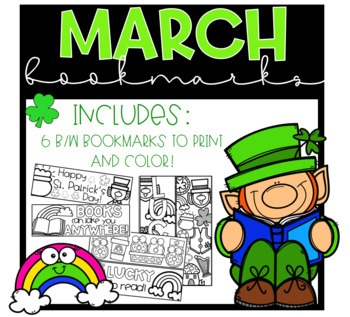 These bookmarks have jokes and facts about St. Patrick's day, as well as the date of the first day of spring. 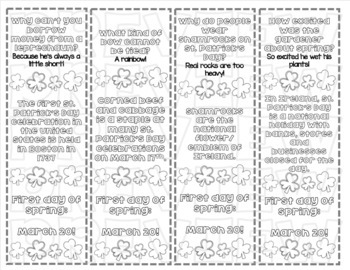 There is a color version as well as a black and white version.